Now that we are getting settled into our new house, I have the very beginnings of some before and now pictures to share with you. Today I’m going to finally share our son’s room which you got a glimpse of yesterday in our video walk through. 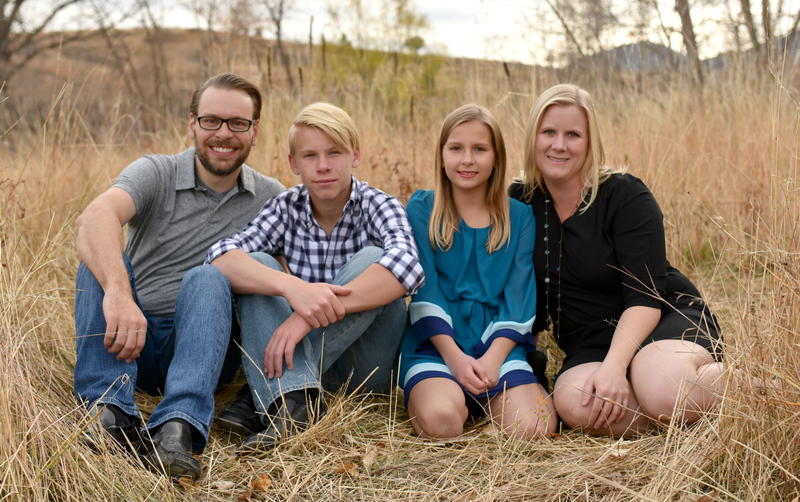 Our son is 13 now (14 in January! Ack!) and wants a room that reflects him and his personality. I’ve been trying to put his room together and he has become so opinionated lately, which honestly, I think is great. I want him to love his room and enjoy spending time there. 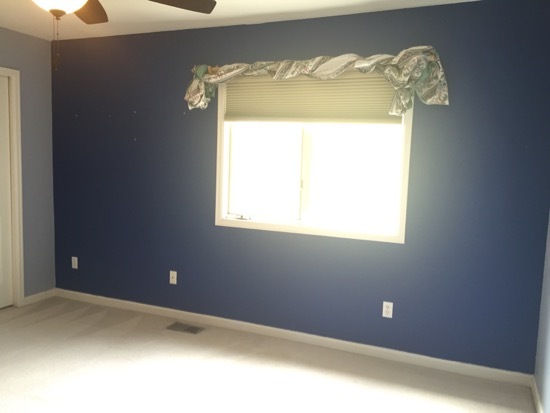 When we bought the house the room had two light blue walls and two dark blue walls. 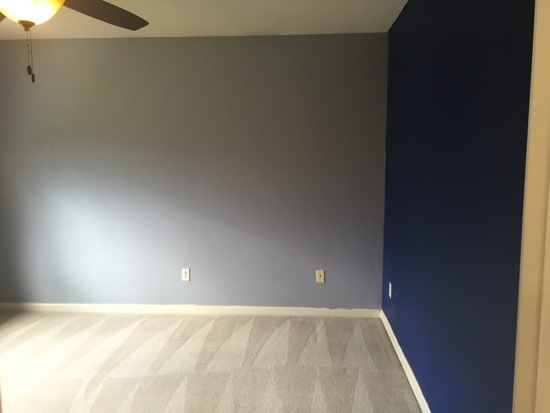 Honestly, I liked these blue walls better than any other color of walls in the entire house, but I really don’t like dark rooms at all. I feel like I’m suffocating in them. It took us several days after moving in to make time to start working on his room so for the first week or so he slept on his floor with unpacked boxes stacked around him. Before we could assemble any furniture or unpack any boxes I rolled the walls with paint really quick. Travis was literally behind me assembling his new desk and put it against the wall as soon as the paint was dry. 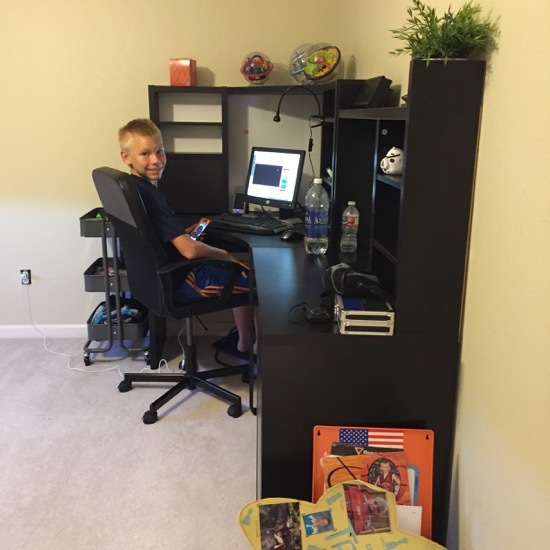 He is VERY excited to have his own desk in his room. He’s growing up too fast! I hadn’t even had time to cut in yet, and in fact, don’t judge but I still haven’t gone back and cut in. I just keep forgetting honestly. 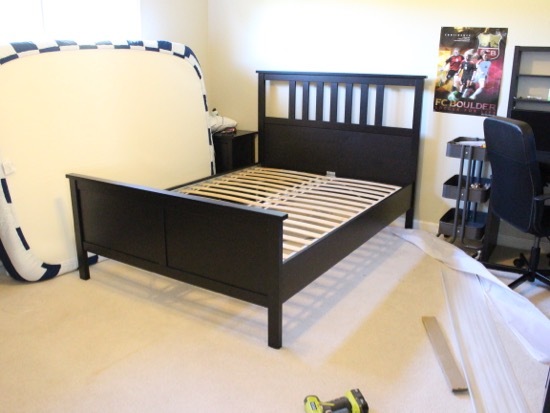 We went back and forth on what bed frame to get for him, and finally just chose the boring Hemnes choice from Ikea that matched his side table and dresser. He absolutely loves all his furniture though, especially since it’s all black. He loves the color black. 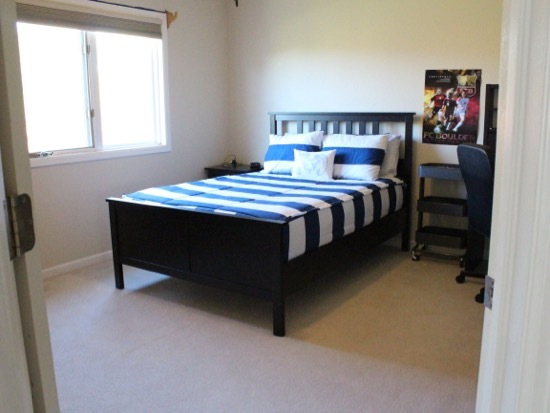 So here’s his room currently. It’s still pretty basic, but it’s livable and he really loves it. All the furniture is from Ikea. 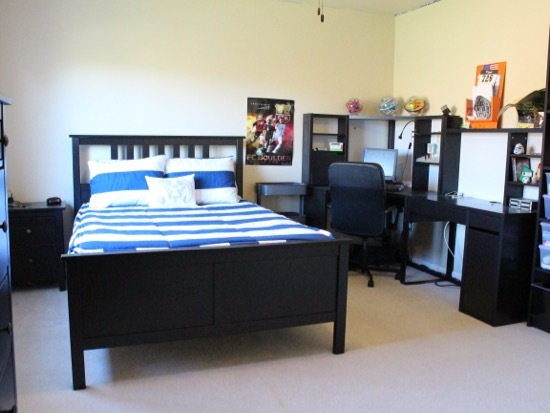 The bed, side table, and dresser are all Hemnes, Cart is Raskog, and the desk is Micke. The bedding is Beddy’s. Next week I will have an entire post about them so sit tight. Travis is a pretty well-rounded kid and is into sports as well as computers, games, and mind puzzles. His #1 favorite thing though is probably the Rubik’s Cube, and he has many different styles, brands, sizes, and shapes of them. He can now solve a basic cube in about 25-30 seconds which is just crazy to me! He is hoping to find a local competition soon and compete. 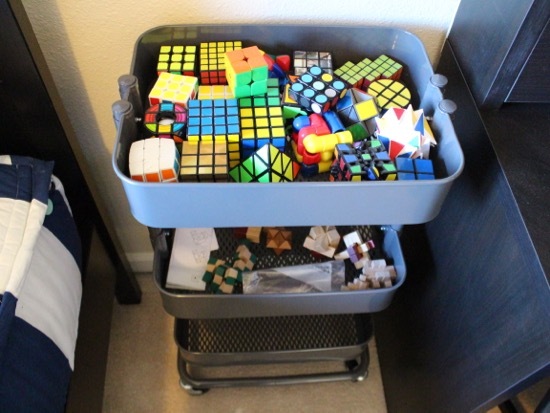 If you have a kid into cubing and you have any questions about the best brands to purchase (hint: Rubik’s is not the best speed cube brand), give he a holler and I’ll send you over some recommendations). 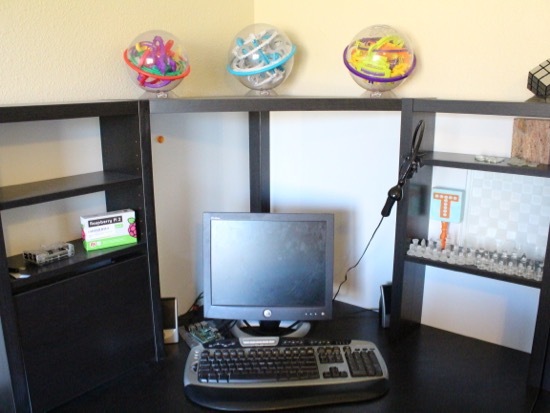 He also is really into computers (like father, like son) and so he has an entire desk area set up where he can play with his Raspberry Pi‘s. « A video walk through of our new Colorado house! 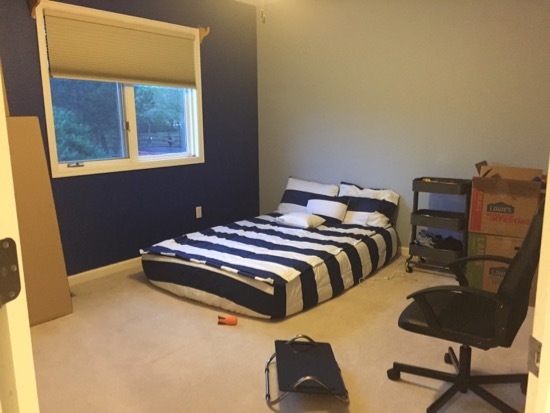 My oldest kiddo is twelve, and I feel like his room is going through a “growing up” phase, too. He’d love a computer in his room, but I’m terrified of such. He has his own tablet, but his desk sits where I can keep an eye on that critter ;). Thank goodness for Qustodio, too! I finally got a curtain made, but it’s supposed to match his bed skirt, which has been waiting to be finished all summer. Sigh. Soon enough. 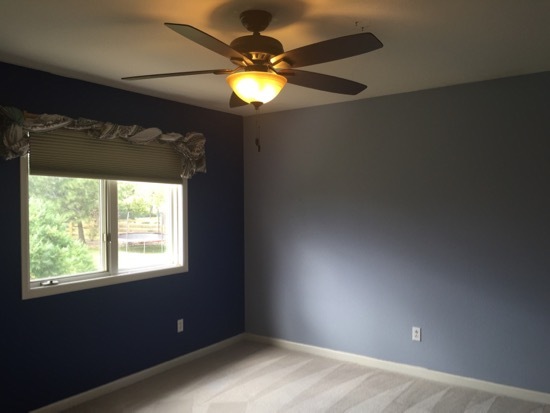 Oh, and I totally agree with your choice in paint colors… Perfection! Anyway, I’d love to know more about the best cubes. Thanks! Travis isn’t allowed to be on the computer with the door shut. We don’t usually allow his laptop in his room either, but he does love the computer desk and sits there to play with his cubes, Raspberry Pi, etc. It’s great that he was putting stuff in as soon as the paint dried – just what my boys would have been doing! Best speed cubes according to Travis: Gans 356, Thunderclap, & Aulong V2. If you have trouble finding any of these brands let me know and I’ll get some links together for you. Cool! Added to my Amazon shopping cart. : ) Thanks! It is looking great! I can’t wait to see how you finish it out – my son also has a black desk, and a bed that is about to become black after I get motivated. Thanks so much! We are still putting a theme together. I’m thinking extreme sports? i have seen this set on the WM site and wondered about the quality. i have bought some furniture from WM and was always pleased with it but never at that price point. if the table is solid and heavy i would not worry about replacing the chairs! i am sure some better ones can be found on Lowell@SideSleeper Craigslist at some point. and i know Kirkland’s sales those same type chairs and they are very good.